Belatedly. I finally got around to putting together a mini guide of some pretty cool things to do in Lisbon on a budget. I know Lisbon needs no introduction to most people nowadays. 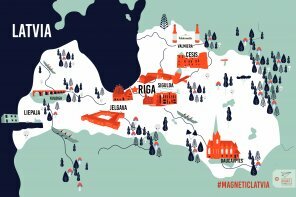 Probably, needs no more bloggers like me promoting the city! I worry that the city is becoming too popular for its own good. Well. I’ve tried to pick out a few lesser off the beaten path gems and mix it with the traditional favourites. This post is by no means, a comprehensive guide but includes some of my favourites places to eat, drink and a few tips of fun things to do in the city. I hope you find the tips below useful. I hope you fall in love with Lisbon like I did. 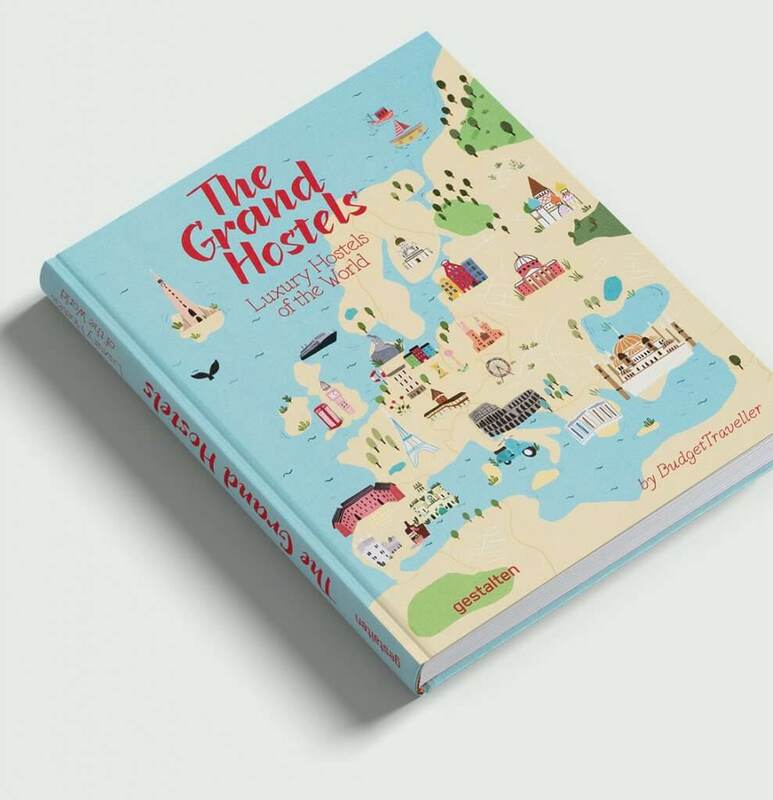 Is Lisbon the world’s most romantic city? My top number 1 tip for cool things to do in Lisbon on a budget is something a bit sweet and requires you to travel a few kilometres west of Lisbon to the historic suburb of Belem. It is from here that Vasco de Gama set sail to the new world. The area is also home to the world famous lip smacking creamy custard tart : the Pastel de Nata. 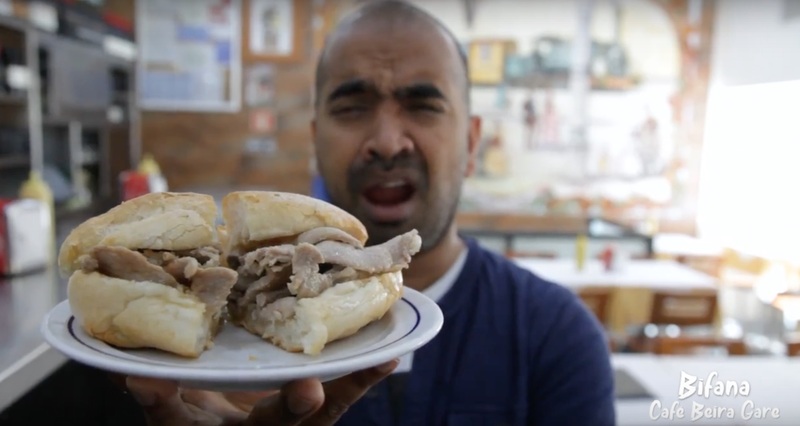 No one makes them better than the historic Antiga Confeitaria de Belém. Flaky on the outside, soft on the inside, lightly dusted with cinnamon- this is a true taste of Lisbon and Portugal in your mouth. Address: Rua de Belém 84-92 Lisboa, Portugal. I never associated Portugal with great coffee so the coffee scene came to me as a huge surprise. Literally any cafe you walk into, you are guaranteed a good cup of coffee. 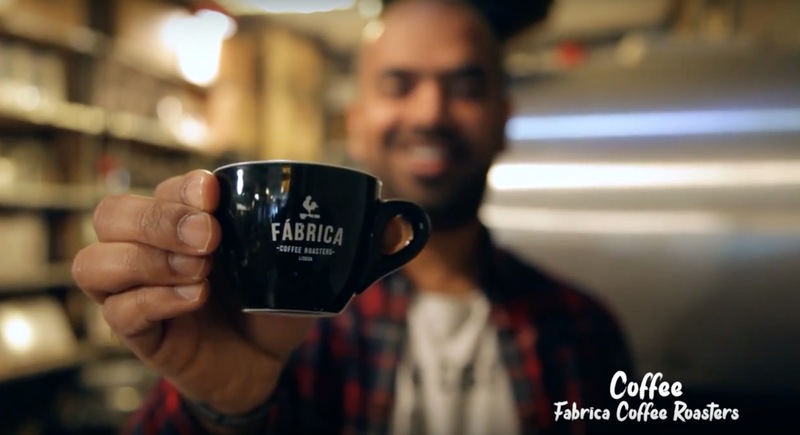 If you’re a fan of fine gourmet coffee then definitely consider paying a visit to Fabrica Coffee Roasters. This independent coffee company started out in 2015 and from the growing of coffee cherries on farms, to their harvesting, roasting and brewing of the coffee-they really care about each cup of coffee they make in store. Visitors can choose from Ethiopian, Guatemalan, Colombian, Brazilian and a number of varieties of coffee. Address: R. das Portas de Santo Antao 136, 1150-265, Lisboa, Portugal. If you enjoy street art then Lisbon is your dream. Here every street corner is an unexpected canvas, constantly changing, constantly evolving and constantly evoking surprise. Here are a few tips about where to find it. Calçada da Glória is a street with a steep incline and the art on view here feels like you are in an outdoor museum. I suggest taking the tram to the top of the incline and enjoying the art while walking down the hill. The Jardim do Tabaco hosts a remarkable Vhils and Pixel Pancho collaboration. The walls of the LX Factory on Rua Rodrigues Faria displays works by Pedro Zamith and Gonçalo Mar. The Elevador da Lavra is home to the 40 anos 40 murais project. If you are visiting Lx Factory then do make time to pop into what I consider one of the world’s most beautiful bookstores “Ler Devagar” (“Read Slowly”) With its rich collection of books, nice onsite Bolo da Marta cafe and the famous flying bicycle man, definitely a place to spend some time. The view of the red roofs of Lisbon from the Largo da Graca has to be one the best viewpoints in Lisbon. If you are feeling energetic then hazard the hillside climb to the viewpoint, otherwise save your breath and take the Funicular da Bica. Once there, enjoy a drink at the café with the musicians playing live music at sunset. If feeling especially indulgent after that climb up the hillside don’t skimp on the mocha with whipped cream at Largo da Graça. You’ve earned it! Address: Largo da Graça, 1100-005, Lisboa, Portugal. 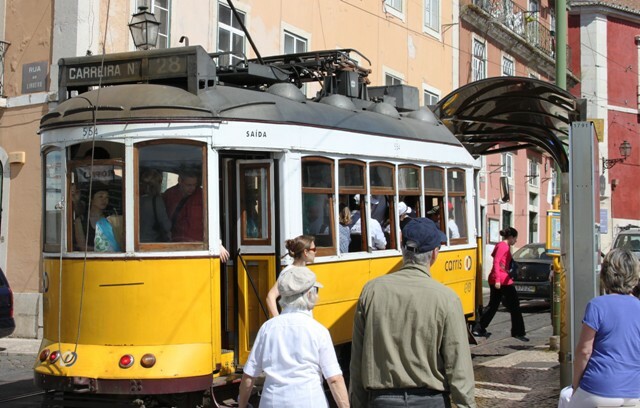 When I think of picture postcard Lisbon, an image that immediately assails me is of the iconic yellow tram, meandering the narrow streets, or navigating the steep inclines. The view from inside the tram can be good too, converting a ride on a tram to a journey of joy. 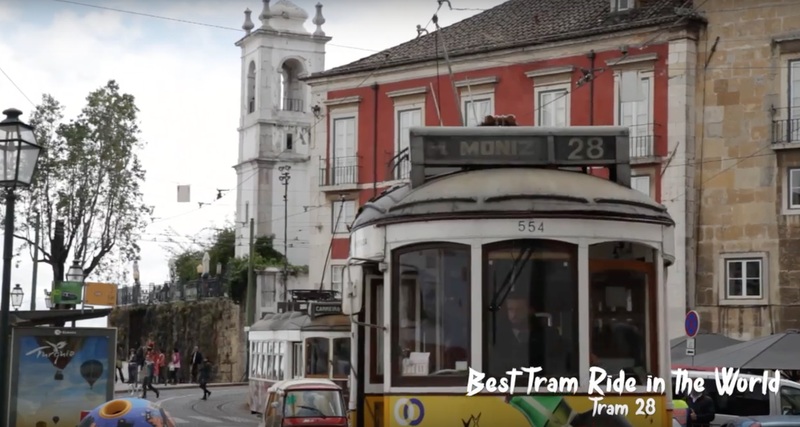 Tram 28 has a very long route and is particularly well liked because it will navigate the steep climb from Baixa to the castle for you. In the first half of the trip you’ll meet the Se Cathedral and in the second half the tram will take you through the scenic Estrela district. Spread like a blanket on a Lisbon hillside is the oldest district of the city: Alfama. From the Castelo St Jorge at the top of the hill to the River Tagus at the bottom, this picturesque red roofed neighbourhood is regularly punctuated by miradouros or terraces which afford visitors splendid views of the city landscape. The neighbourhood is marked by narrow meandering streets, undulating and leading to small squares. This, the oldest district of Lisbon is also the most well preserved, considering it was saved by the ravages of the 1755 Lisbon earthquake. Expect to see well preserved old buildings and residents congregating on street corners. Come here to listen to the traditional Fado music. Be prepared to scrape your plate clean at O Beco. Particularly when it comes to their favas with flavourful chorizo. 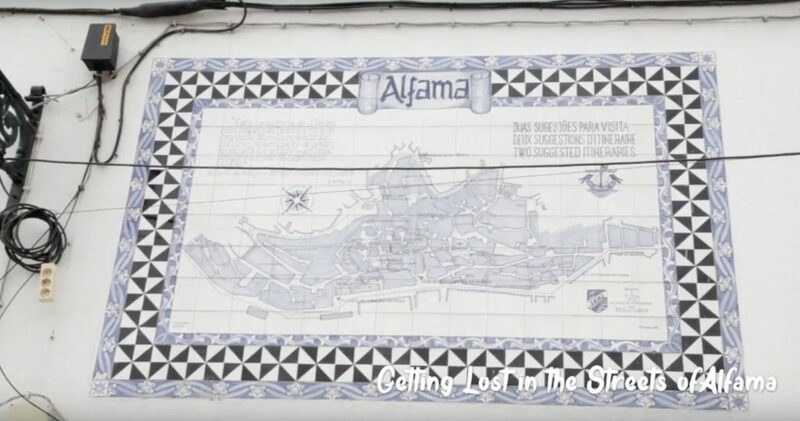 The place located in Alfama is family-run , small but the food is plentiful, the people are friendly and the food is delicious. What more could you want? 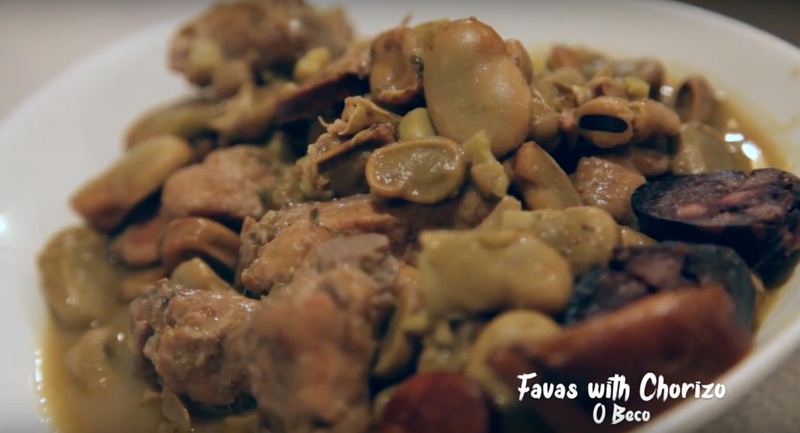 You will find a host of traditional Portuguese dishes served up here but my favourite is their fava beans. 9) Pinot Noir at Wine Not? Run by the same owner as Lost Inn Hostel Lisbon, this wine bar is the perfect place to have that pre-dinner snack and glass of wine. I recommend their Pinot Noir with a side of bread dipped into their delicious olive tapenade. Address: R. Ivens 45, 1200-226 Lisboa, Portugal. 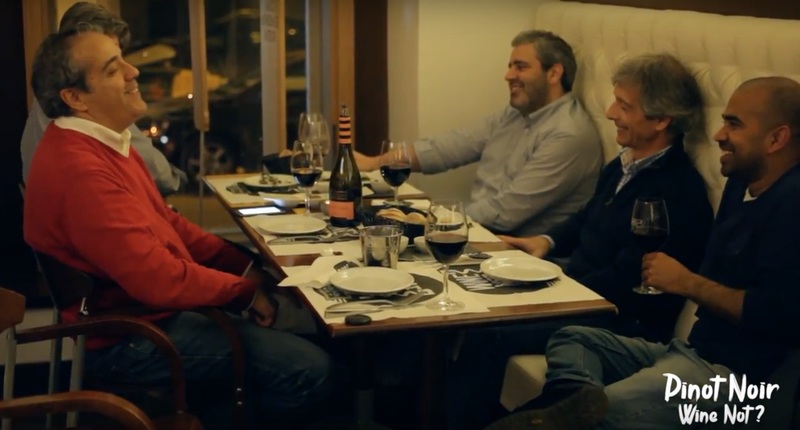 If you want a taste of the charm of old-world Portugal, you cannot leave Lisbon without a drink of ginjinha at Ginjinha Sem Rival. A small shop with unassuming glass windows, bordered with green frames, this is your passport to ginjinha heaven. Everyone flocks to the more popular A Ginjinha but I prefer coming here, even if the proprietor is slightly on the grumpy side. 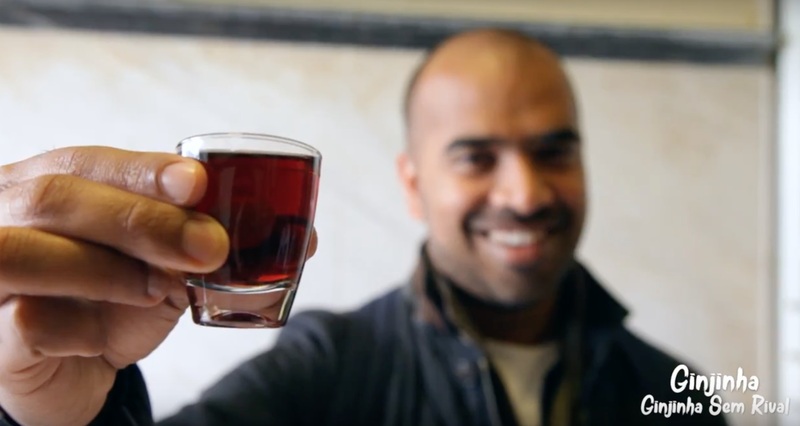 Every drop of this sweet cherry liqueur will settle in your throat before leaving you a warm fuzzy feeling inside. It costs €1.50 for a shot and if the cherry flavour is not your preferred tipple, there are other flavours to try as well. Address: R. Portas de Santo Antão 7, 1150-268, Lisboa, Portugal. Just steps away from Rossio is one of Lisbon’s most delightful little eateries- Café Beira Gare. You know the food is good because of the high percentage of locals that grace the establishment. The interior reminds me a little of an American diner and it’s a little cramped but the food is good. The Bifana is a thing of sheer joy. Never has a pork steak, packed with garlic goodness and placed in a long bread roll tasted better. Wash down with a cold cerveja. The soups here are delicious and nourishing too. Soup, bifana and a beer shouldn’t cost you more than €5. Address: Praça Dom João da Câmara 4, 1200-016, Lisboa, Portugal. If you are a chocolate enthusiast like me, then look no further than the chocolate institution of Lisbon that is Landeau Chocolate. 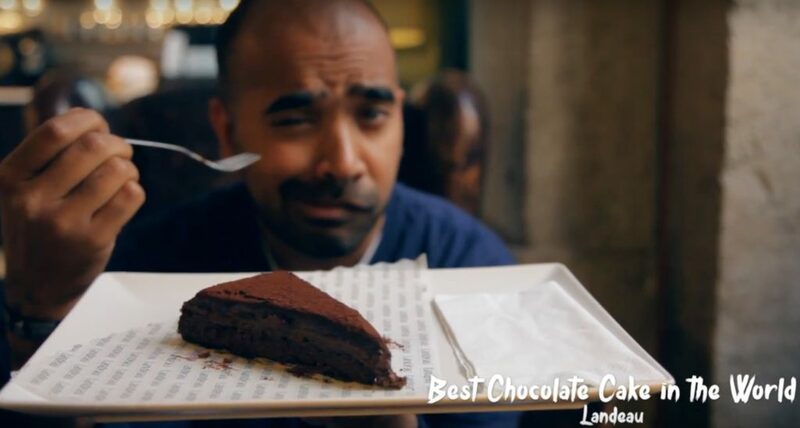 The cake is the most decadent and chocolatey morsel With three glorious locations across Lisbon, you really can’t stumbling up against it, can you? Address: Rua das Flores 70, 1200-014 Lisboa, Portugal. Take this for novelty. 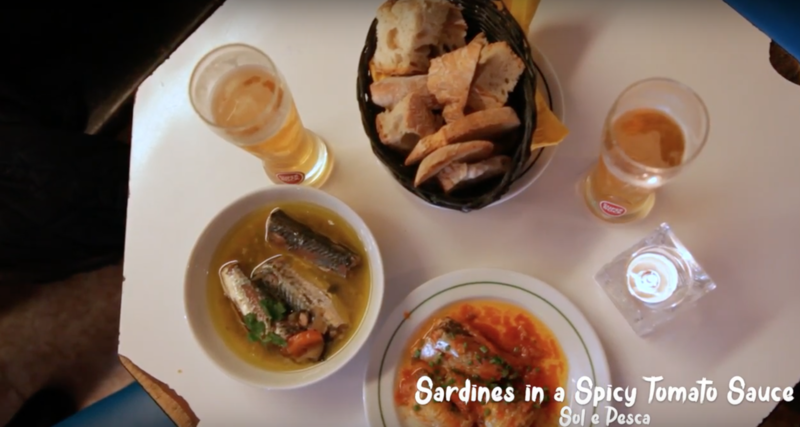 A former tackle shop serving dozens of types of canned fish to be downed with chilled beer? Yes, Sol e Pesca has it all and much more. The sardines in spicy tomato sauce are my favourite. Address: R. Nova do Carvalho 44, 1200-014 Lisboa, Portugal. This 1966 built rust-red suspension bridge, might be closely related to the Golden Gate Bridge of San Francisco, they have so many similarities. The name of the bridge was the ‘Salazar Bridge’ until 1974, when it was changed to the ’25 de Abril Bridge’ to commemorate the Carnation Revolution. It spans the Tagus, connecting Lisbon to the municipality of Almada. The bridge as a backdrop has to be one of the most photographed spots in Lisbon. So. Packing up and tidying up my Airbnb. That’s the end of the Lisbon diaries. For now.Tomorrow. I’m going offpiste for a very new kind of adventure. Stay tuned ? Lisbon is a city of steep inclines; in fact it is the city of seven hills. This steepness necessitates alternative forms of transport to navigate the hills. One of them is the Bica Funicular or Elevador da Bica. The funicular connects the Rua de São Paulo to Rua da Bica de Duarte Belo. The lift started working in 1892 and has been transporting countless Lisboans and visitors faithfully from one point to another. As a visitor you will marvel at the photographic opportunities presented by the steep incline with the River forming the perfect backdrop. Address: Rua de S. Paulo 234, 1200-109 Lisboa, Portugal. The brain child of José Berardo, this cohort of fine examples from the surrealist, hyper-real, minimalist and pop-art movements, makes this museum a force to be reckoned with. Portuguese modern art gains the spotlight here. Right across the street from the Jerónimos Monastery, this cultural pit stop should be added to every itinerary of things to do in Lisbon’s Belém. Address: Praça do Império 1449-003 Lisboa, Portugal. Back to Lisbon next Wednesday! Part 2 of the #luxuryhostels tour begins: 3 days in Lisbon before a week in Barcelona. Then back to Malaga before hitting up Granada, Córdoba then Seville before heading to Paris on 31st May. Epic times and hostels await us. Been to any of these cities? When in Belém, make it a point to visit the monument that marks the start of the epic sea voyage of intrepid Portuguese explorer, Vasco de Gama, as he set sail for India- the Belém Tower. An example of Manueline architecture, the limestone bastion and four storey tower sits at the mouth of the Tagus River and serves as a symbolic gateway to the city. Address: Av. Brasília, 1400-038 Lisboa, Portugal. Another feather in Belém’s cap is the erstwhile monastery dedicated to the worship of Saint Jerome. Previously a place of reflection and prayer for intrepid seafarers setting out on hazardous sea voyages, the monastery has stood as a symbol of strength and tranquillity for centuries past. Today it is an example of ornate Portuguese Manueline architecture and a UNESCO World Heritage Site. Address: Praça do Império 1400-206 Lisboa, Portugal. This square shaped Moorish castle is placed on a hilltop commanding enviable views over Lisbon’s historic centre and the Tagus. This medieval fortification was once the residence of royalty and was the reception place for Vasco da Gama after returning from his sea voyage from India. During its turbulent history the castle has been sieged and ravaged by the physical destruction of Lisbon’s 1755 earthquake. Plan on visiting the Ulysses Tower once there, for a birds-eye view of Lisbon. Step back in time when visiting the castle and relive the history of the place in the footsteps of the Visigoths, Moors, Christians and Portuguese Royals. Address: R. de Santa Cruz do Castel, 1100-129 Lisboa, Portugal. So. There you go- my 19 top tips for cool things to do in Lisbon on a budget. If you have any tips to add, please mention them in the comments section below. Obrigado! I’ve always dreamed of visiting Portugal for its historic importance in world events. What made them daring sea faring adventurers? For a country of their size, their influence was huge. Beautiful country-visit soon!